"How the world needs the example of those who will let the light of the gospel of Jesus Christ radiate from their eternal souls! 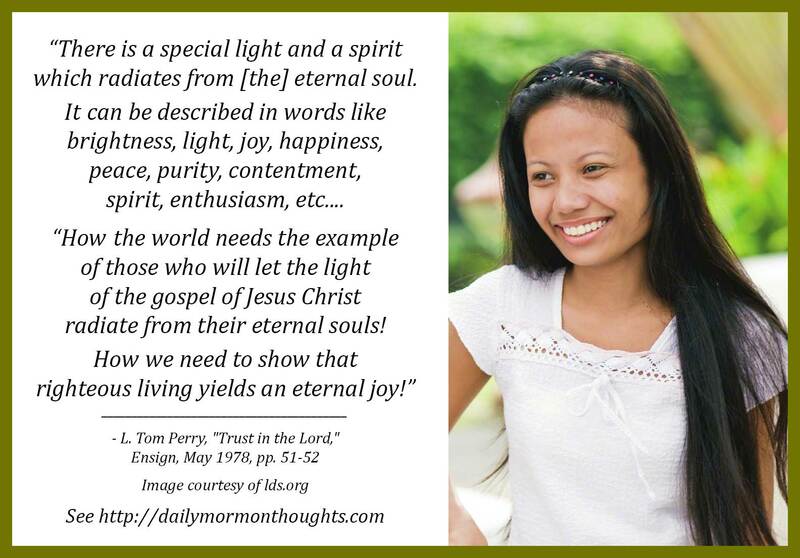 How we need to show that righteous living yields an eternal joy! 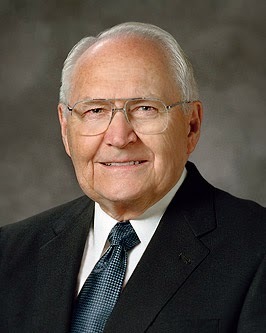 "To you who have embraced the gospel of our Lord and Savior, stand as a beacon upon a hill to light the way for those who seek a happier, more fulfilling life. To you who have not discovered this greatest of all gifts, come join with us and let us assist you in building a better life. By conforming our lives to the teachings of our Savior, we can bring greater joy to a troubled world."